Berseba (Nama: !Autsawises) is a village in the Karas Region of southern Namibia and the district capital of the Berseba electoral constituency. It is situated 100 km (62 mi) north-west of Keetmanshoop near the Brukkaros Mountain, a famous tourist destination. The foundation of Berseba is recorded on 17 October 1850 when Rhenish Missionary Samuel Hahn founded the missionary station and gave it a biblically inspired name. 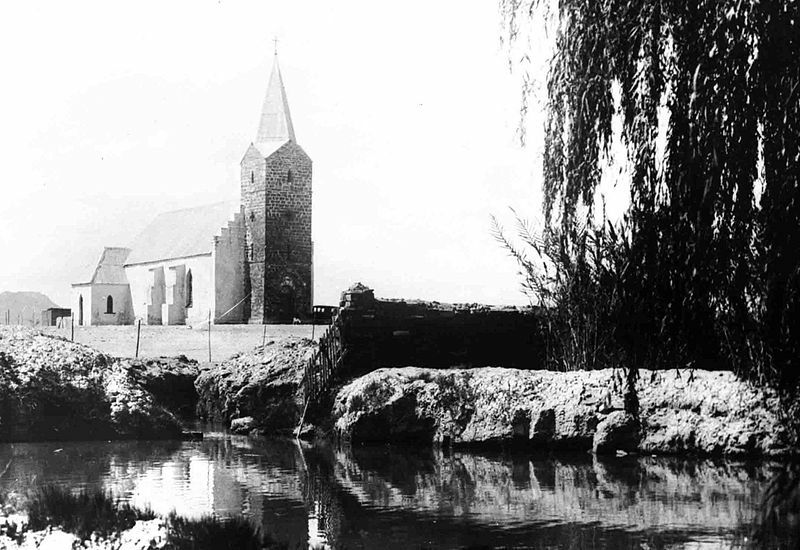 In 1857 a church was built. The first people to permanently settle at this place, then only known under its Khoikhoi name !Autsawises, were a group of Khoi herder clans from the Cape Province, driven across the Orange River by encroaching European settlers and the law enforcement of the Dutch East India Company. They arrived in the area of Berseba in 1812. In 1850 their patriarch Paul Goliath established himself as independent leader of this community that subsequently became known as the Berseba Orlam (Nama: |Hai-|khaua). Since then chieftainship of the Berseba Orlam has been held by the Goliath and Isaak clans who often were in dispute about the succession. In the 1960s the two clans split over the leadership issue and only reunited in April 2010. Today, Kaptein Johannes Isaak is the traditional leader of the |Hai-|khaua. The first diamond in Namibia was found in this area in 1898, and oil explorations were conducted in 1900 and 1929, though neither led to substantial industrial development. The settlement is riddled with poverty, substance abuse, and crime. It features a secondary school, the Ecumenical Community School, which was in 2010 declared "unfit to serve as an educational institution" and has since been abandoned. Berseba is connected by road to Tses (MR98), Bethanie (D3901 and D3905), Asab (D3903), Helmeringhausen (D554) and Keetmanshoop (D531), as well as to the Bruckaros tourist site (D3904). Berseba is one of a few local authorities in Namibia where an opposition party obtained more votes for the village council than SWAPO. In the 2010 local authority election, Democratic Turnhalle Alliance (DTA) defeated SWAPO 221 votes to 200. No other party participated in the election for the Berseba Village Council.